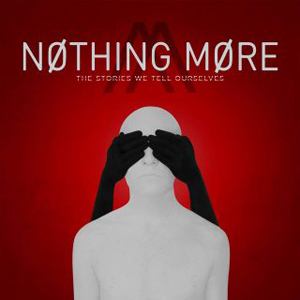 NOTHING MORE premiere the official music video for their new single, “Go To War”. Directed by Wayne Isham, the video evokes the burning aggression of the track’s lyrics through a passionate bar fight between lovers. Watch it on KNAC.COM HERE. "There's no such thing as overnight success but there are defining moments. For us, that moment was Aftershock 2013. I can still feel my feet boiling from the sun-drenched, black stage. I still remember my heart pounding from the energy of the crowd. We were given a shot to prove ourselves in front of every label rep from the west coast as well as many bands on the festival. Sink or swim." “Go To War” is the lead single off the band’s forthcoming album The Stories We Tell Ourselves, set for release September 15 via Better Noise Records. The album is available for pre-order now at all digital retailers along with exclusive merch packages, signed vinyl and CDs at PledgeMusic. NOTHING MORE will perform at the Monster Energy Aftershock Festival in Sacramento, California on Saturday, October 21. For more information on tour dates, visit: http://nothingmore.net/. For information on Monster Energy Aftershock, visit: www.aftershockconcert.com.